These are vintage settings that were made in Germany. 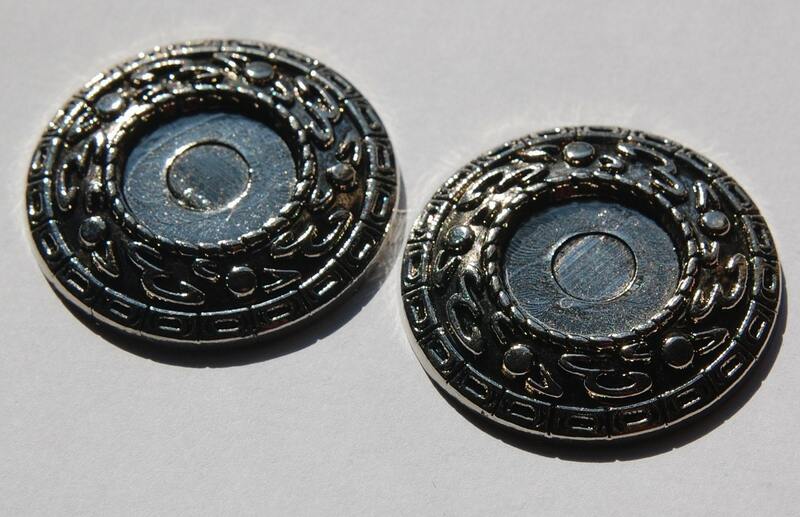 They are acrylic with a silver plating. 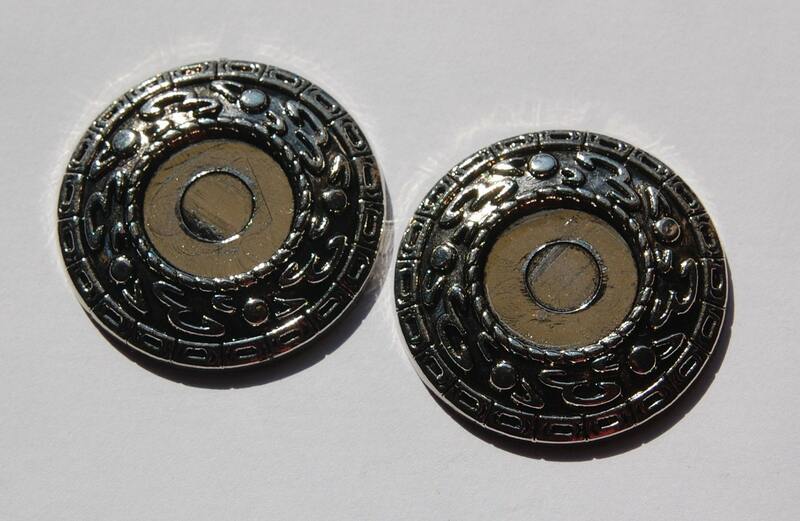 These have an etched border with a round center setting. The setting will hold an 18mm cabochon or cameo. The entire piece measures 40mm. You will receive 2 settings.